Fiat Chrysler CEO Sergio Marchionne recently said he has an ideal partner in mind, but would not disclose who it is. 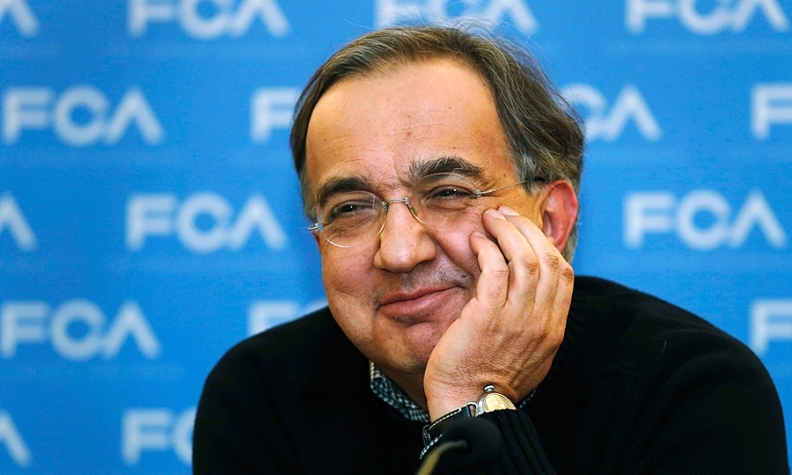 “We don’t have any restrictions,” CEO Sergio Marchionne said today in an interview in Geneva. The condition for any deal is “saving the highest amount of capital” on developing of new vehicles. Marchionne, the architect behind the merger that created Fiat Chrysler, has been a vocal proponent of consolidation in the auto industry. High costs for developing cleaner cars and adding self-driving features put pressure on traditional automakers, which also face the threat of new competition from the likes of Apple Inc. and Google Inc.
Marchionne sounded less enthusiastic about the potential of tying up with PSA Peugeot Citroen, doubting that the French manufacturer would solve Fiat Chrysler’s problems. He also said he never had talks with Volkswagen AG executives about a combination. In recent months Marchionne has sent several signals that he is looking for a potential merger partner. He said he has an ideal partner in mind, but would not disclose who it is.